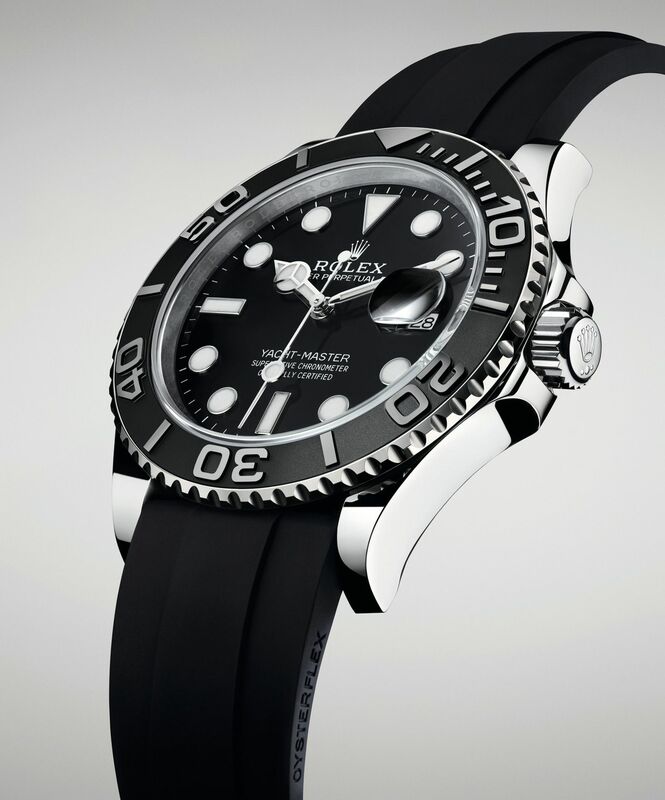 One of the highlights of Rolex’s Baselworld 2019 launches is the discreetly luxe Yacht-Master 42, an upsized, monochromatic iteration of the model. The watch matches a slightly larger white gold case with a matte black ceramic bezel and black dial, along with a synthetic rubber strap. 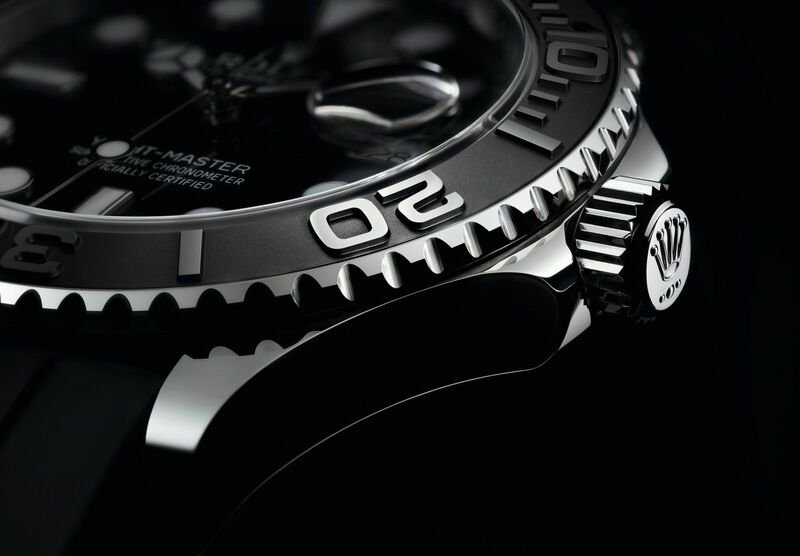 Though the colour and material combination is new, the design is typical Yacht-Master. The bi-directional rotating bezel features a Cerachrom insert that has raised graduations and numerals, the trademark feature of the Yacht-Master. Here the bezel is moulded to create the relief markings, which are then polished, giving them a mirrored surface that contrast against the matte black bezel. 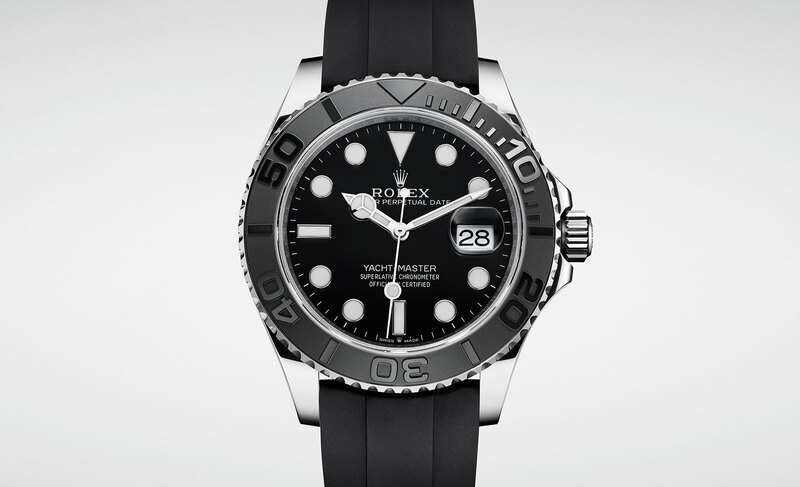 Although the dial has the same quintessential Rolex design as the other Yacht-Master models, it features larger hour markers and hands, making it a “Maxi” dial, in other words. The case is 42mm, larger than the 40mm of the standard Yacht-Master, making this the largest version of the basic Yacht-Master to date. It’s made of 18k white gold, again a first for the series. It’s mounted on the Oysterflex bracelet, which is made of synthetic rubber and matched with a white gold Oysterlock folding clasp that also incorporates the Glidelock extensions that allows for easy micro-adjustments of its length. Inside is the cal. 3235 that has a 70 hour power reserve, patented, energy-efficient Chronergy escapement and non-magnetic Parachom Blue hairspring. This marks the first time that Rolex is using the cal. 3235, or any latest generation movement for that matter, in a Yacht-Master. 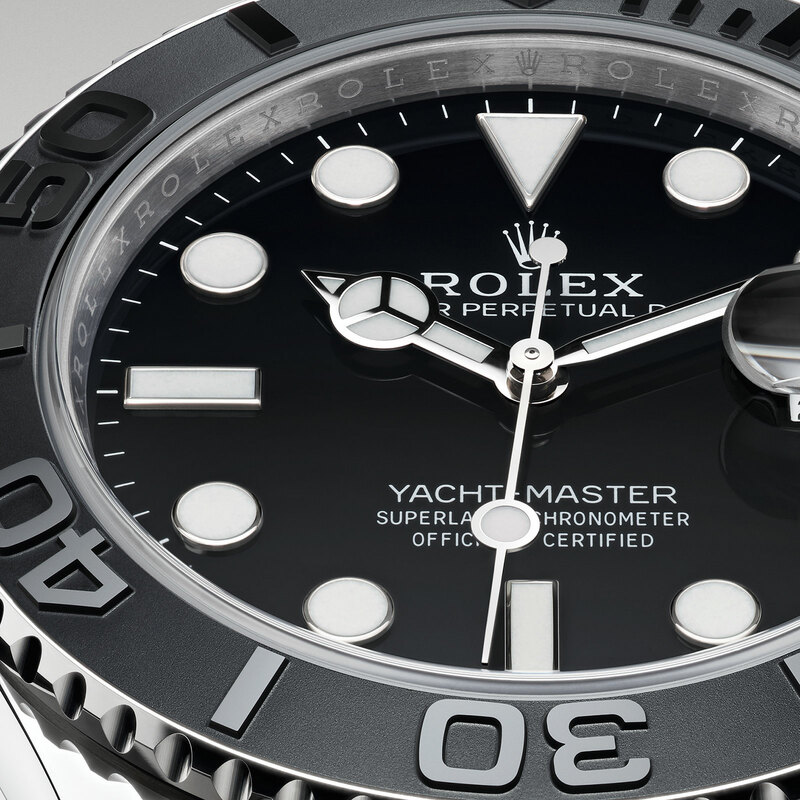 The Rolex Yacht-Master 42 (ref. 226659) is priced at 26,500 Swiss francs, or 37,390 Singapore dollars, which is about US$26,500.